Have you ever been to New Mexico? Pretty big place, huh? Imagine if one day, out of nowhere, someone went to New Mexico and just bulldozed the entire thing to the ground. This stranger comes in and starts ripping resources from the Earth, killing any inhabitant in the way. Well that is exactly what is about to happen in the Gulf of Mexico. In October 2017, the Interior Department of the Trump Administration proposed an auction of the largest amount of offshore drilling leases ever at 77 MILLION ACRES. So, about the size of New Mexico. Oh, and this 77 million acres is the last remaining part of the Gulf’s outer continental shelf, so the whole entire outer shelf will now be dedicated to drilling. This announcement was made 11 days after 672,000 gallons of oil spilled off the coast of Louisiana. It was the largest oil spill since 2010, when a BP oil rig, the Deepwater Horizon, exploded and caused the worst environmental disaster in U.S. history. For those of you who don’t know what the outer continental shelf is, that is the part of the ocean you can see from the beach. That’s where you go boating or fishing. It’s the part of the ocean before the continental slope, the site where the ocean gets deeper. It’s everything off the Gulf coast until you hit the imaginary line from the bottom tip of Texas to the bottom tip of Florida. The shelf is estimated to hold 48 billion barrels of recoverable oil, along with 141 trillion cubic feet of recoverable gas. By leasing out so much of the Gulf, the Trump Administration hopes to keep the cost of oil low, which the offshore sector has had a hard time doing. Trump sees this as upholding a campaign promise to increase U.S. energy production and make America more self-sufficient, but how far will we go to save a few bucks? The sale of these leases will begin in March, and yes, the deal includes the site of the 2010 BP oil spill. I guess the White House decided the environment had done enough healing, even though the aftermath of that disaster is still affecting marine wildlife, as well as people who depend on the Gulf for their income. According to the U.S. Fish and Wildlife Service, the 2010 oil spill negatively affected 73 species that we know of, 38 of which were federally listed as endangered or threatened and were protected under the Endangered Species Act. For example, it is estimated that there are less than 2 million sperm whales still alive today, and they were among the species negatively affected in 2010. 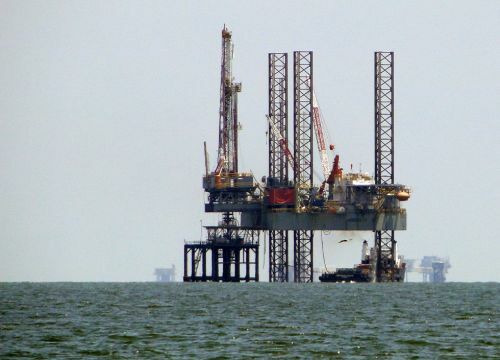 With 100 percent of the outer shelf about to be opened for drilling, it is only a matter of time before another rig malfunctions and another oil spill takes place, possibly even bigger and more destructive. 11 people died last time, and there have been hundreds and hundreds of lawsuits from people whose livelihoods and even personal health was hindered by the mass pollution the oil spill caused. If the multitudes of plants and animals aren’t enough reason to leave the ocean alone, aren’t American citizens? Apparently not if it means gas will be a few cents cheaper. 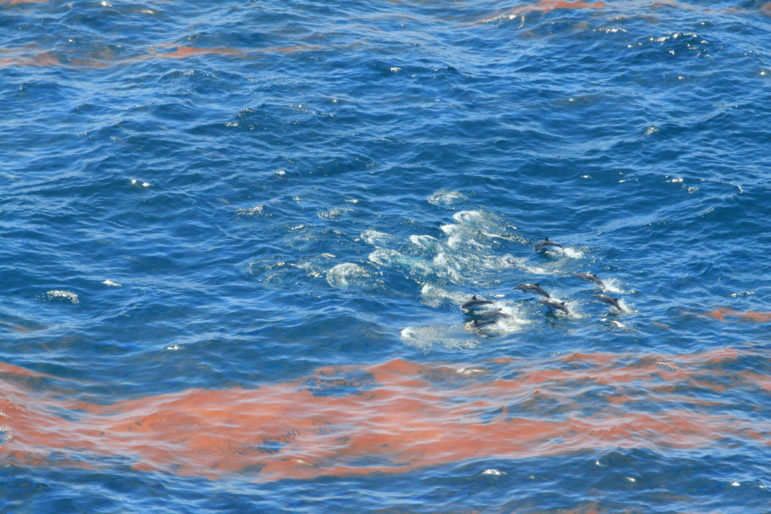 Even without a devastating spill, offshore drilling is extremely invasive to the environment. Bottom line: a whole bunch of ocean life is about to die so that Trump can boost his approval ratings. The massive drilling rigs disrupt the habitat of any marine life in the area, and the area in question (to stress this again) is the ENTIRE. OUTER. SHELF. Animals and plants WILL die. Biological systems are intricate and complex. Like a clock, each part of the wilderness has an effect on the other parts, and a disruption can spell disaster for the whole mechanism. 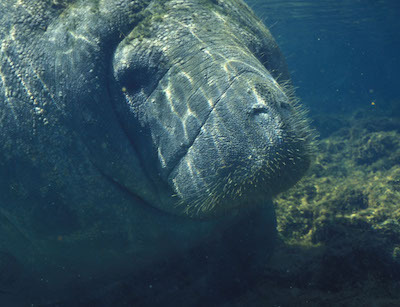 The noise created by offshore drilling can distract animals and hinder their ability to communicate during mating season or notice predators, for example. Another problem is that even when oil isn’t “spilling” on a critical level, there is no way to prevent every drop of dangerous chemical from entering the water. Oil drills commonly release harmful amounts of methane and other toxic gases directly into the water and air. If this has scared you, good, because IT’S SCARY. In closing, probably don’t swim in the Gulf of Mexico. Like ever. TAKE ACTION: Ask Secretary Zinke to stop reckless new plans for coast oil and gas drilling. This is completely reckless. 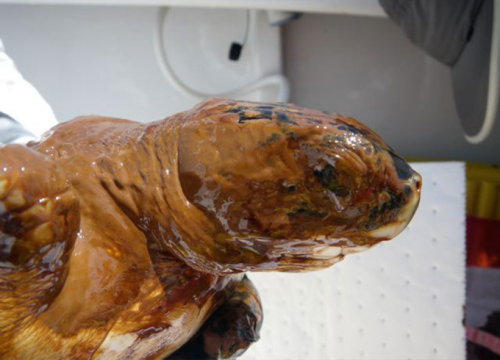 Offshore drilling will always lead to spills destroying our oceans.